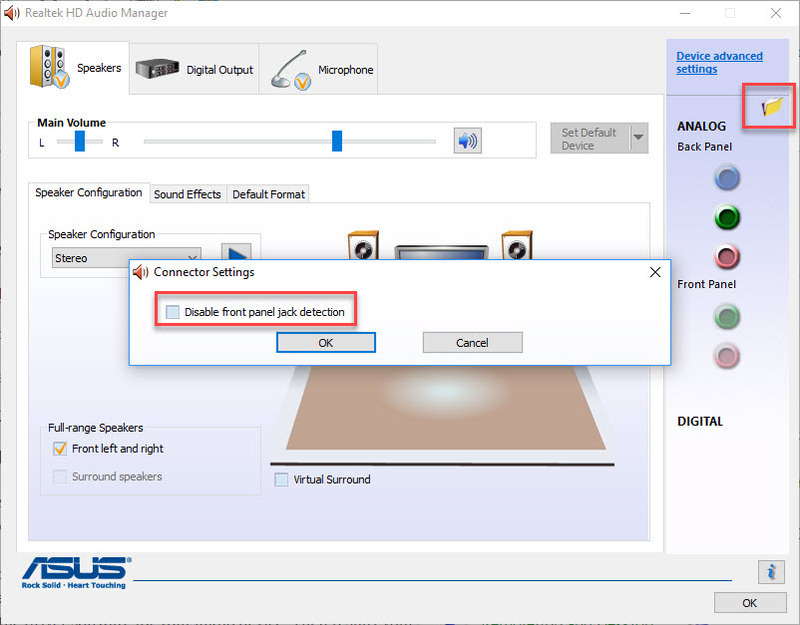 Learn how to fix Headphones not working on Windows 10. Many Windows 10 users have reported that they faced problems with sound on their computers. When they plugged headphones into the 3.5mm audio jack, the internal speakers turn off and the headphones do not make any sound. If you’re also getting this problem, don’t worry, this tutorial will show you top 3 methods for your problem with no sound in your headphones on Windows 10. If you have installed the Realtek software, go to the Realtek HD Audio Manager in Control Panel. Step 1. Press Windows Key + R and select Control Panel. Step 2. When Control Panel window, navigate to Relatek HD audio Manager. Step 3. Then, you check the Disable front panel jack detection option, under connector settings in the right side panel. The headphones and other audio devices work without any issues. Step 1. From the Taskbar, you right-click on the speaker icon and click Playback Devices. Step 2. Then you find your default playback device. Double-click on it. Step 3. Switch to Advanced tab. Step 4. 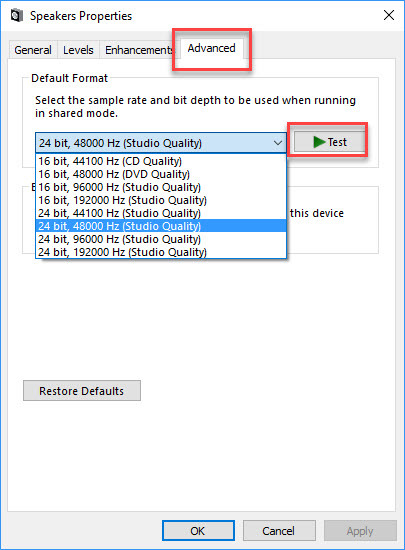 Here you need to change default sound format from the dropdown menu. Then click the Test button to play sound with your device. Step 5. Click OK > OK to save changes. Step 1. 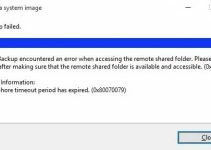 Press Windows Key + R and select Device Manager. Step 2. 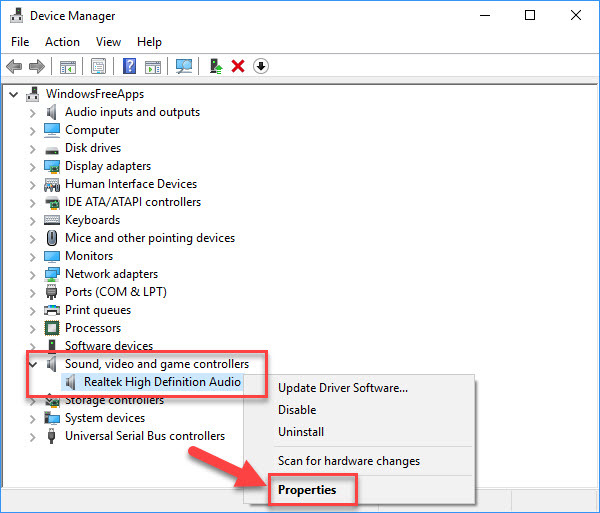 When Device Manager window appears, you expand the Sound, video and game controllers and find your audio device. Step 3. Then, you right-click your audio device and select Properties. Step 4. 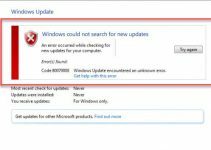 Now, you switch to Driver tab, click on Update Driver. Step 5. 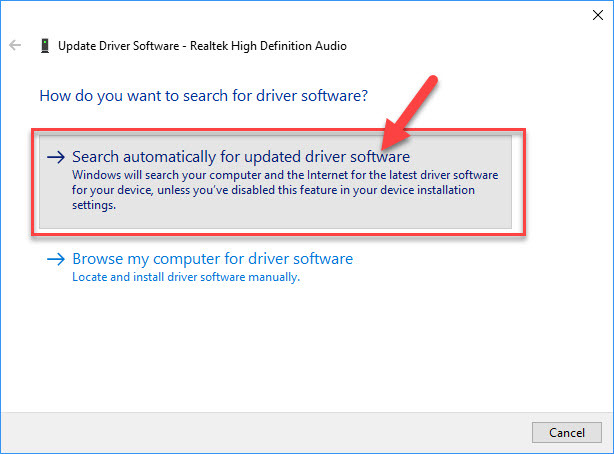 Click Search Automatically For Updated Driver Software. 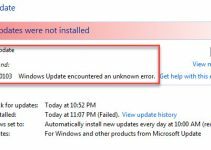 Windows will automatically download and install the correct version of this driver. Step 6. 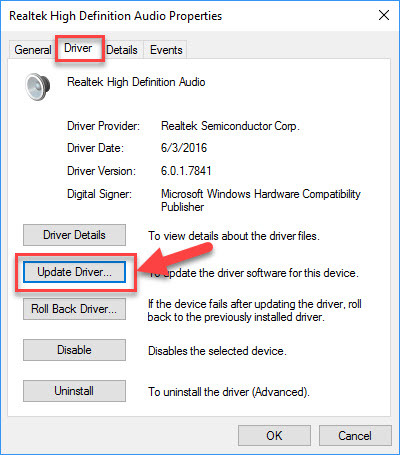 Wait until Windows has finished installing the driver software for your audio device. Then restart your computer and check your headphone. Hope this tutorial helps you. If you see this tutorial is useful for you, please like and share it. If you want to copy this tutorial on your website, please write source and link to Windows Free Apps. Thank you.